Zelia Lor's life changes when Necrons attack her home planet and rip it apart! Separated from her mother, Zelia must escape the doomed world, her only hope a scrambled transmission promising safety at a mysterious place known only as the Emperor's Seat. 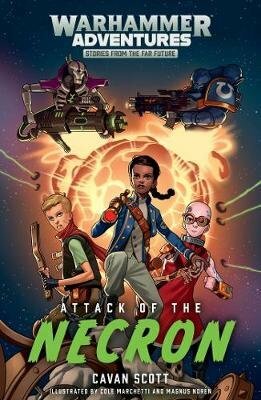 She is joined by a rag-tag group of survivors - the street-tough Talen, gadget-obsessed Martian boy Mekki and super-intelligent alien-ape, Fleapit.